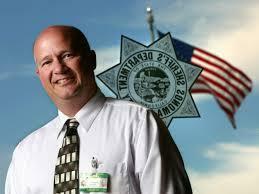 Sonoma County Sheriff Steve Freitas’s six-plus years in office have been tumultuous on multiple fronts. Now a group of local activists is pushing to recall him, even before his announced retirement at the end of his current term next year. The most alarming complaints raised against the Sheriff's office in the past year involve the prolonged, brutal treatment of inmates at the Sonoma County Jail. Community Action Coalition member Kathleen Finnegan calls it torture. 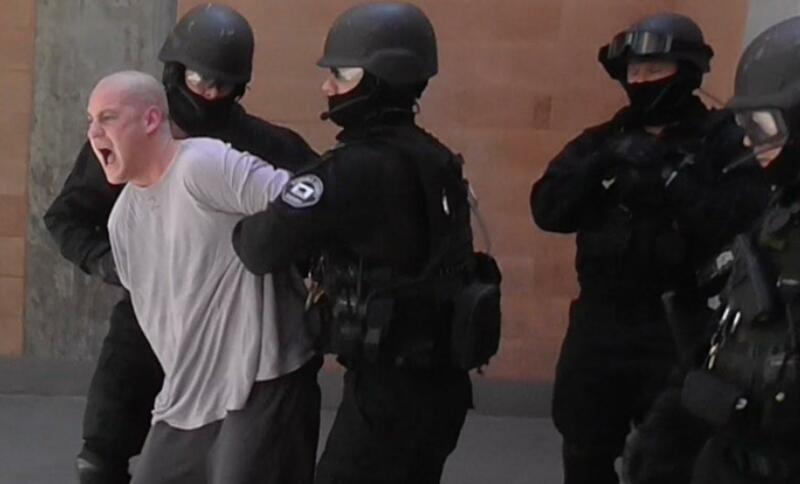 An inmate is surrounded by guards for "yard counseling" at the Sonoma County Jail. A deputy's body-cam video of some of those incidents was recently made public by Santa Rosa attorney Izaak Schwaiger, who is representing seven of the inmates in a lawsuit against the county. (The video is strongly profane and may be hard to take, but it can be seen here.). Schwaiger contends such bad behavior flows down from the top of the department. The seven arguments for the recall are listed in full on the campaign's Facebook page.